With this worksheet the parts of the school building and equipment can be learnt and revised. 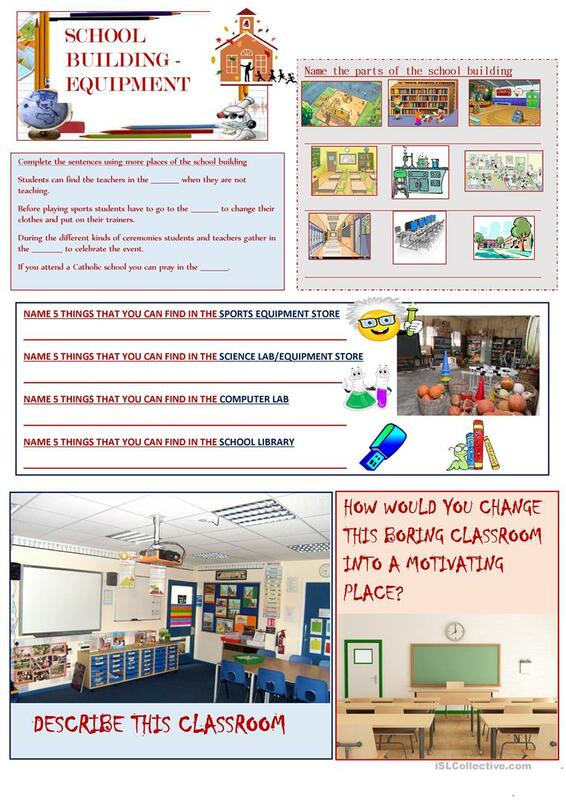 It contains two speaking exercises - description of different classrooms. This downloadable teaching material is best suited for high school students, elementary school students and adults at Elementary (A1), Pre-intermediate (A2) and Intermediate (B1) level. It is excellent for developing your groups' Spelling, Speaking and Writing skills. It is about the theme of School.